Your output suggests that your script found a layout element of type text element in each of three maps, and that it moved each of them. When working with layout elements I think you would be wise to give each of them a unique name on their Size & Position tab so that you can use their name property (e.g. elm.name) to access them. I'm not clear from your question as to what you mean by "nothing happen", because I would expect from that output that, if it was run while the MXDs were closed, then the next time you opened them the movement should have happened. I suspect that the code you ran is not quite what you presented because there seems to be an extra "3" printed at the end which is not accounted for. I think it would be useful if you could focus your question on what happens within a single map rather than looking at an iteration of three maps. 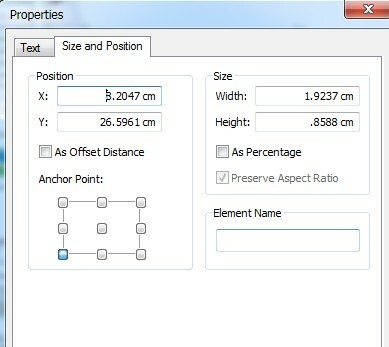 All three properties you are working with are Read/Write properties, so to test what is happening and whether things are changing I would focus on just one MXD (and once it's working set it to loop through all your MXDs), and print the fontSize, elementPositionX, elementPositionY before and after each change, to see what it is doing and whether it is actually changing anything. Not the answer you're looking for? Browse other questions tagged arcpy font element or ask your own question. 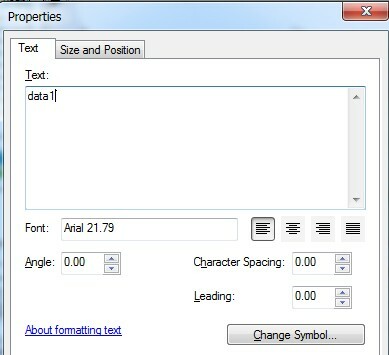 Changing text element font size using ArcPy? Using findAndReplaceWorkspacePaths to change datasource for ArcSDE geodatabase? Adding rasters from folder if it in the data frame extent of the map using ArcPy? Listing layers from .mxd file using ArcPy for ArcGIS Pro?